Ocean Watersports at Brigantine Beach New Jersey are seemingly endless. Brigantine Island has miles of pristine ocean beaches that visitors & locals alike make excellent use of during spring, summer & fall (& sometimes even winter!) for watersports. If you think that watersports at Brigantine Beach are limited to just swimming, waterskiing & surfing, you are in for a wonderful surprise! 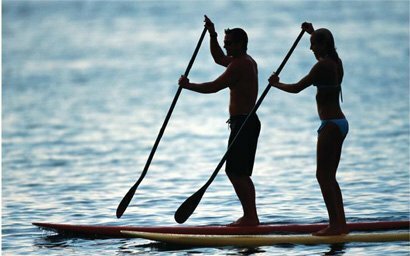 There are many other water sport activities for the adventurous, including jet skiing, parasailing, stand-up paddle surfing, wakeboarding & windsurfing. So come on down, jump in & enjoy the Ocean Watersports at Brigantine Beach New Jersey.